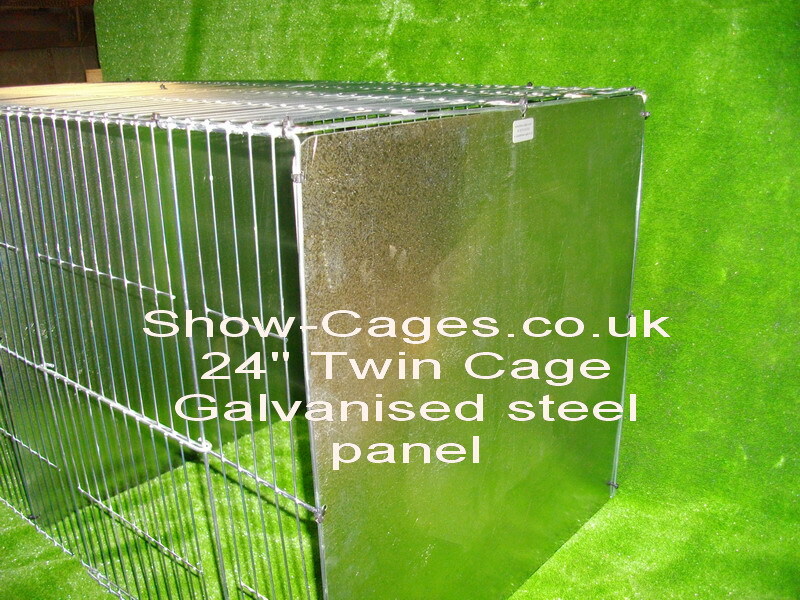 Our 24" poultry show cage is designed for showing larger fowl, ducks, a large wide sliding door make it easier to fit your birds through, meaning less stress for your birds, we have thought about this poultry show cage, not just knocked it up from a photo. 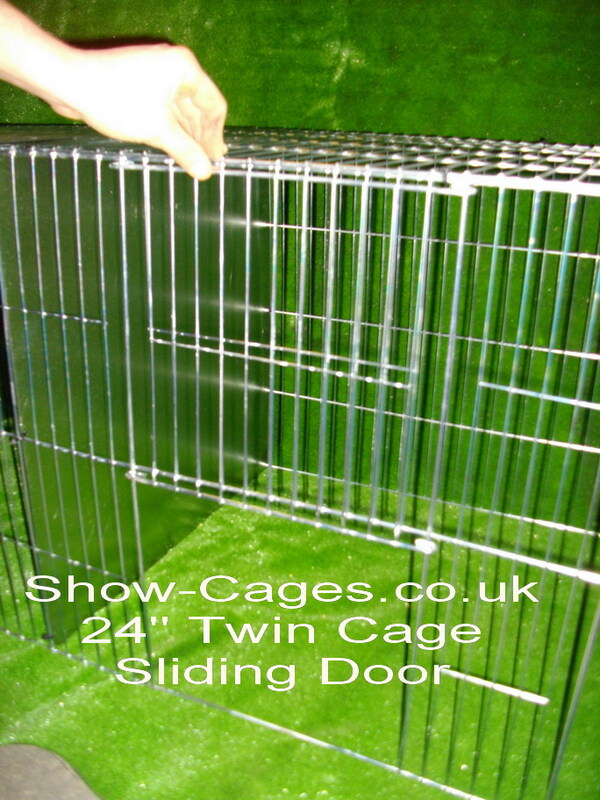 You are buying one 24" Poultry Show Cage which comes flat packed, one front panel with two sliding doors, two panels which are the top & back, three solid divisions and enough ties to assemble the cage, if in doubt please telephone 01772811522 before purchasing. 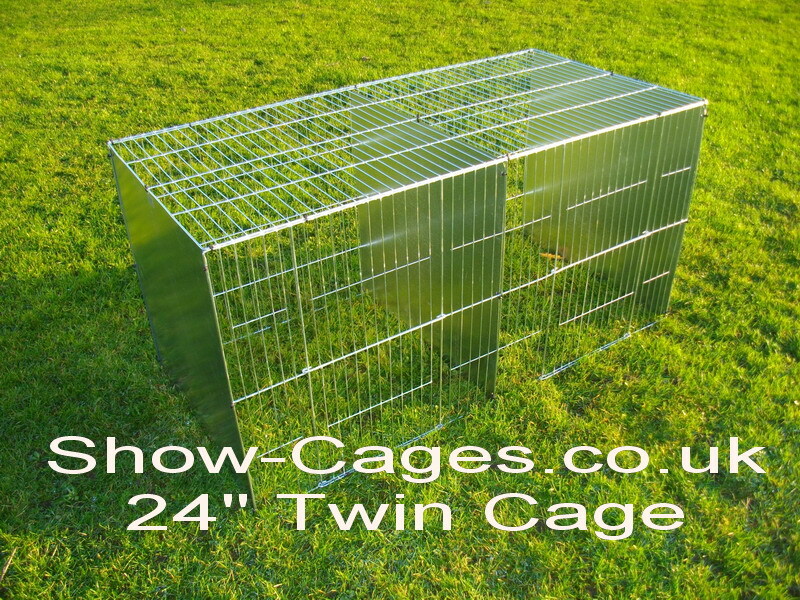 Delivery is ONLY England, Wales, Southern Scotland other areas such as Northern Ireland, Highlands, Islands or Euorpe please contact us for a quote.